Caroline has had five books published by Carcanet Press: In These Days of Prohibition (2017), The Hat Stand Union (2013), Watering Can (2009), Trouble Came to the Turnip (2006) and Looking Through Letterboxes (2002). Carcanet Press is a leading publisher of contemporary poetry based in the United Kingdom and founded in 1969 by Michael Schmidt. 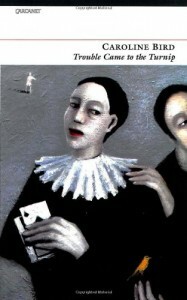 Carcanet publishes the work of many leading poets including John Ashbery, Kei Miller, Sinead Morrissey and Edwin Morgan. Caroline’s books can all be purchased directly from Carcanet here. 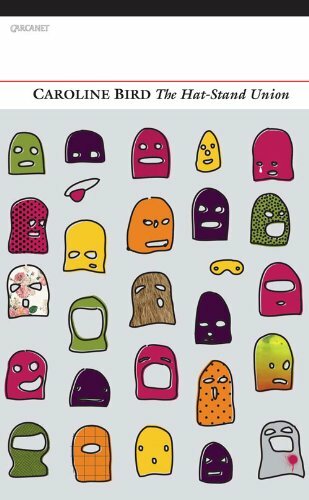 Caroline Bird’s two earlier collections were acclaimed for their exuberant energy, surreal imagination and passion - 'a bit of a Howl for a new generation', wrote the Hudson Review. Watering Can celebrates life as an early twenty-something. 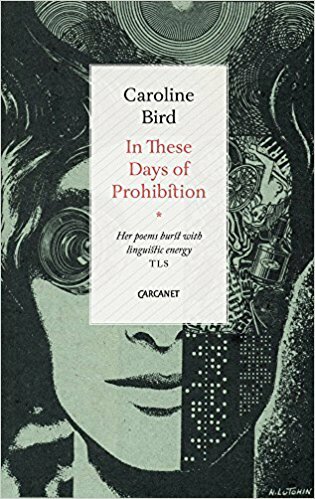 The poems, writes Caroline Bird, 'contain prophetic videos, a moon colonised by bullies, weeping scholars, laughing ducks, silent weddings - all the fertiliser that pours on top of your head.' The extraordinary verve and compassion of her verse propels us into the anxiety of new responsibilities. Raw but never hopeless, Watering Can has comedy, wordplay and bright self-deprecation. What an original captivating and spellbinding voice. Bird is fearless like 'the girl who dropped her ice-cream down a volcano and leaped in after it'. She’s dangerous and witty too with a rare quality of imagination. This is a wonder, a beautifully written book of poems. 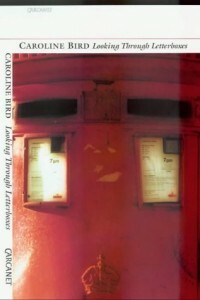 Following Looking Through Letterboxes, her first collection (2002), Caroline Bird was acclaimed as a vivid and precocious new talent. Trouble Came to the Turnip confirms her originality as she strikes out again in new directions, taking nothing for granted. Her poems are ferociously vital, fantastical, sometimes violent, almost always savagely humorous and self-mocking. Caroline Bird's world is inhabited by failed and (less often) successful relationships, by the dizzying crisis of early adulthood, by leprechauns and spells and Miss Pringle's seven lovely daughters waiting to spring out of a cardboard cake. And the turnip. Caroline Bird first appears to be a traditional storyteller. But the stories she tells (or conceals) are suspended in a language charged with metaphor, and most of them are built upon foundations which are strangely familiar: fairy tale, fantasy and the bitter-sweet world of romance. The further one reads in her haunted tales, the more remarkable becomes the variety of forms, metres and rhythms she uses, and the clearer their appropriateness to her themes. The poems can at first appear to be topical, 'Year of the Woman', for example, 'Gothic', 'Dusk and Petrol' - yet the poets take on reality is informed by a paradoxically knowing innocence. Things are not ever as they seem, and the poems bring us closer to how the world 'really' is. They work metaphorically through our expectations and prejudices, those that are encapsulated in cliché and aphorism, which she rearranges and reanimates ('with a step/ in your dance, a forecast for lightning'), or those that relate to the world of childhood ('I came to see if you were ok') where language itself has never quite got a grip. 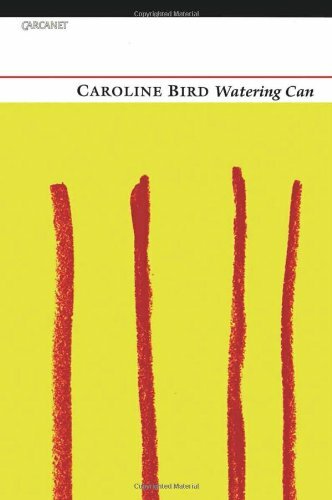 In the poems of Caroline Bird gender politics are starkly redefined, as are the languages with which generations communicate and fail to agree. A great performer on page and stage, Caroline Bird in her fifth collection pretends to lay down her celebrated satiric weaponry to seek out ‘simple truth’. Venturing into the badlands of the human psyche, she finds more than we bargained for. From a geriatric thrill-seeker more concerned with sexual experimentation than reading the Radio Times, to a self storage facility that holds people's shameful secrets rather than their belongings, Caroline's direct and unflinching approach cuts to the heart of the human experience, our fears, loves and internal conflicts.